Graham Jones is a Thought Leader on Internet Psychology and has extensive experience in helping businesses understand the behavior of their customers. To learn more about Graham, visit his website at www.grahamjones.co.uk. Customer reviews are an essential part of any business, whether you’re a land surveyor, building contractor, or home inspector. If your website doesn’t feature testimonials, reviews and recommendations, many people skip it, looking instead for a service provider that does share his or her clients’ opinions. But keep in mind – reviews affect customers in a variety of ways, and not all of them are good. Social proof is amplified when the people we base our decisions on are our friends, family or role models. Hence, if all our friends use a particular home inspector, when we need an inspector, we feel compelled to go with that same service provider, since the social proof is even stronger due to our knowing and respecting those whose opinions we access to make a final purchasing decision. Reviews provide social proof. And the impact of that social proof greatly increases if the recommendations come from people that the potential client knows. This is why getting consumers to log in to your site using Facebook or another social media platform is beneficial. Prospective clients can then see who out of their friends also “liked” your site, for instance. Additionally, your potential customer will see reviews left by their friends rather than those written by strangers. 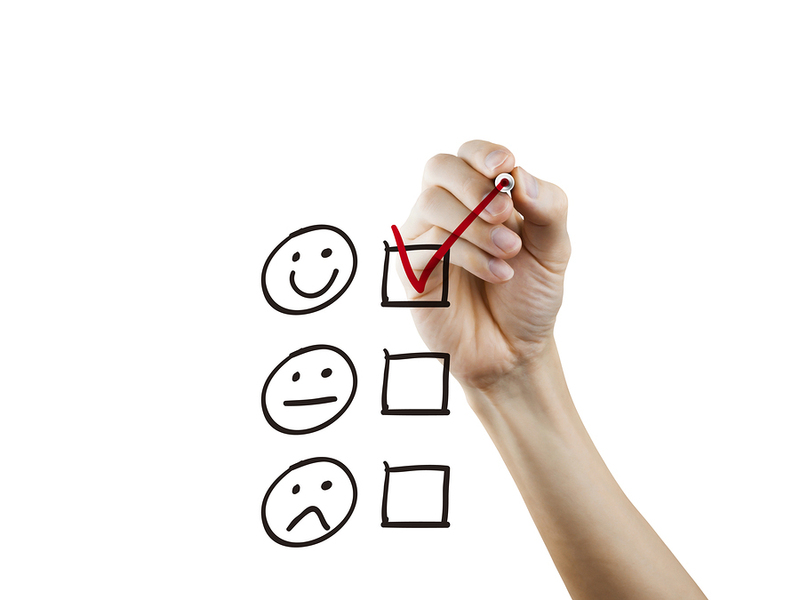 All too often, business owners include on their website only the good reviews they receive. However, psychological research suggests that this works against business. Shoppers are quicker to make a judgement about something if it’s at one end of the spectrum. A study of reviews on Amazon found that in many instances, the most helpful reviews were those where the ratings were extremely positive or extremely negative. This relates to something known as “negativity bias.” When we see something negative, we can more easily make a decision. When a website shows several reviews across a range of star ratings, people find it harder to decide whether or not to buy. However, if there are reviews at either end of the spectrum – such as several five-star reviews and some one-star reviews – shoppers find it easier to make a decision. Make sure to include some negative reviews along with all those good ones. Many websites have reviews ordered by the date on which they were posted. However, shoppers tend to be mostly affected by something known as the “serial position effect.” This means we remember the first and last things we see more than anything in the middle. So, order your reviews by star rating. That way, the five-star reviews at the top will be remembered, and the one-star reviews at the bottom will also be recalled, helping people make an informed decision. Another way to get more clients is to continue your education. Browse courses by state now and see if continuing your contracting education makes sense for your business.